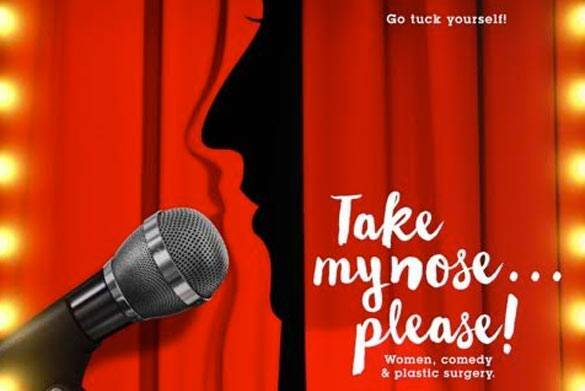 The award winning and entertaining documentary – TAKE MY NOSE… PLEASE! follows two comedians as they deliberate about going under the knife. Emily Askin, an up-and coming improv performer, has always wanted her nose refined. Emmy Award nominee, Jackie Hoffman, a seasoned headliner on Broadway and TV, considers herself ugly and regrets not having the nose job offered in her teens. And maybe she’d like a face-lift, as well. As we follow their surprisingly emotional stories, we meet others who have taken the leap – or held out. Putting it all in perspective are psychologists, sociologists, the medical community and cultural critics. And for comic relief and the profundity only female comedians can supply. The film includes commentary from Judy Gold, Julie Halston, Lisa Lampanelli, Giulia Rozzi, and Adrianne Tolsch. TAKE MY NOSE… PLEASE! is the debut feature film from longtime former Allure Magazine editor now turned filmmaker, Joan Kron. For Joan, at the amazing age of 89 years-old, documentary film making is now her new career! The film opens in theaters in New York and Los Angeles in October and national roll out to follow. Greenlight Women is a schedule 501(c)3 non-profit women’s organization that is an alliance of accomplished, creative and business professionals whose mission is to champion women and promote diverse perspectives in media. For an overview of activities, please visit Greenlightwomen.org. ©2017 GreenLight WomenSM GreenLight Women is a non-profit organization under Section 501(c)(3) of the United States Internal Revenue Code. All rights reserved.